For years the U.S. Navy has unleashed deafening noises into the ocean, sometimes with blasts as loud as a rocket launch, that have the potential to actually kill whales by audio alone. "Scientists often say, 'A deaf whale is a dead whale,'" Zak Smith, a lawyer with the Natural Resources Defense Council's Marine Mammal Protection Project, told The Dodo. "Intense sound certainly threatens death. Sound is how they interact with the environment. It's not just an annoyance - it's an incredible harm." Now, under a new ruling, the Navy may have to reevaluate the way it floods the ocean with sound. A federal court on Wednesday ruled that the U.S. Navy's training and testing activities off the coast of Southern California and Hawaii were unlawfully authorized by the National Marine Fisheries Service and violated two animal protection acts. "This is a huge victory," Smith said. "At a very fundamental level, the court is saying that the approach the government is using to assess these activities is inherently flawed." The U.S. Navy uses active sonar systems in the ocean to detect submarines as well as to teach and train. 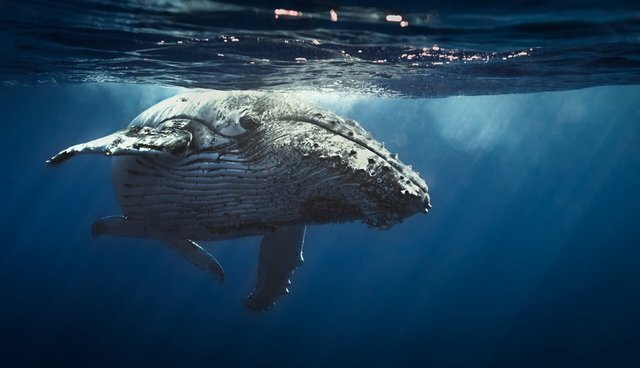 If a whale makes the fatal mistake of floating up next to a naval boat emitting sonar, his lungs and organs will immediately begin to liquefy, and he can be killed in moments. Further away from the source, a whale can experience permanent or temporary deafness as well as a host of behavioral changes, including the abandonment of mating or feeding behaviors. The Navy itself estimated that its underwater detonations and sonar exercises would harm whales, dolphins and other marine mammals a whopping 9.6 million times in just five years, and include 150 deaths - a count that the National Marine Fisheries Service authorized and called "negligible." But the new court ruling says that the Service should not have approved the Navy's plans. 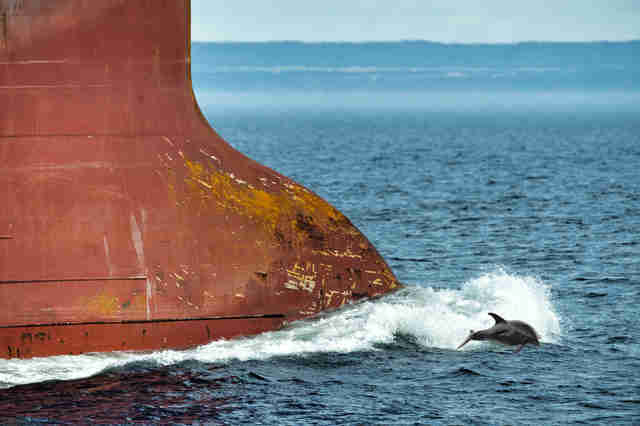 The decision is the result of a case brought by the Natural Resources Defense Council, Cetacean Society International, Animal Legal Defense Fund, Pacific Environment and Resources Center and acoustician Michael Stocker. The next stage of the case will examine how the Navy can better plan where to conduct its sonar exercises so that they don't deafen thousands of whales. It may identify migratory routes and areas where whales like to congregate, and then may set limits on sonar use in those spots. "The consensus is that the best way to protect whales is to limit the use of such technologies in these known [marine mammal] hot spots," Smith said. "The Navy can still conduct their training and testing." For the blue and fin whales who migrate off the coast of Southern California, as well as the humpback whales who dive through the waves off Hawaii, setting these limitations could be the difference between life and death.